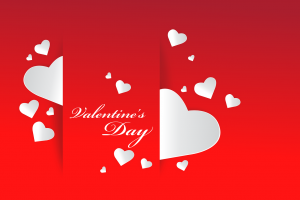 There are many common Valentine’s Day traditions for kids to follow in the United States. Some of them go back to ancient customs and stories, some of them are new fads, and some are traditions made and kept by individual families. The origin of Valentine’s Day is somewhat of a mystery. It dates back in history to at least the Roman Empire but didn’t really become popular in the United States until the 19th century. At that time, people would write poems for the one they loved. Eventually, these sentiments would be sent in the form of greeting cards. As early as 1800, mass produced Valentine cards were becoming popular in the United Kingdom, but were very expensive. In 1847, a woman in the United States, Esther Howland, decided that she could make greetings cards. Her cards were more sentimental than cards of the past, and had intricate designs with flowers, cupids, and lace. Because of this history, poems, flowers, cupids, and lace have continued on as part of the common traditions that have formed over time. Although the traditions have continued, Valentine’s Day has become sweeter with the introduction of chocolate to its cards and flowers. It becomes sweeter still when lovable family traditions are incorporated into the day. Whether the family tradition is sending a Valentine card through the mail so your child can open it, giving special rewards leading up to the special day, or Cupid leaving something under the pillow, having special Valentine’s Day traditions for kids gets them excited for the day and gives them great childhood memories that will last a lifetime! Buying Valentine’s Day cards is the easiest way to fulfill the need to get your kids ready for the school party, but a common tradition kids enjoy is making their own. Some materials can be found around the house or can be purchased at very low-cost. Materials that can be used to make cards are candy hearts (with or without words), construction paper, glue sticks, glitter, stickers, or anything else that the kids pick to decorate their Valentine’s cards. If kids are struggling for ideas creating their own cards, there are many ideas for handmade Valentine’s cards on the internet. ne’s Day boxes that are commonly used in school. Decorating our houses for Valentine’s Day is another common tradition for the kids. Take your kids shopping to help find inexpensive decorations like heart shaped balloons, streamers, and supplies to make their own creations. The kids enjoy helping to hang the decorations up almost as much as they do making them! As your kids grow older, the decorations can become more elaborate and detailed. You might do variations of the same craft each year or try something new every time. Either way, there are plenty of fun options! Another common Valentine’s Day tradition that people do with their kids is baking. Not only is this a good excuse to make special treats, it also gives parents quality time with kids. Baking cupcakes and cookies on Valentine’s Day was something I remember most about the holiday. My mom was a great baker, and she always made sure we had the best treats to take to school for the big party. She patiently taught us how to measure, pour, and mix the ingredients. We made a variety of cupcakes with red and pink icing as well as heart shaped cookies decorated with icing and sprinkles. My mom even let us taste test the treats to make sure they were good enough to take to school. A tradition that is common to many kids in the U.S is writing poetry. For the younger kids, writing simple rhyming poems may be fun while the older kids can write more complex poems. Many times kids write their poems on their handmade cards giving them to their friends or even parents and grandparents. My sisters and I always made handmade cards with our special poems and mailed them to our grandparents every year, and in return we would get one back. This is a tradition that I continue with my grandchildren. One of my favorite traditions growing up was giving my teacher a small box of chocolates or candy as well as giving flowers. Kids not only love giving these special treats, but they love receiving them even more! Candy shaped hearts with special words inscribed to the special Valentine, and small boxes of chocolates to classmates or their favorite teacher has been a common Valentine’s Day tradition for kids in the U.S. for many years. Kids love having choices of who they are going to give the special gift to and get very excited for the day to arrive. Even though common Valentine’s Day traditions provide kids with a sense of belonging, starting a new tradition could be just as rewarding. Setting aside time to tell each other how much you care about each other, making heart shaped pancakes for breakfast, or providing kids the history of how Valentine’s Day got its start – whatever the Valentine’s Day tradition may be, make it a memorable one. Do you have a common Valentine’s Day tradition that you would like to share?